Liberia gained its independence more than a century before the rest of Africa, and it has since 1847 elected its presidents. “Founded” in 1822 by former slaves and free-born blacks from the United States, executive power in the Commonwealth of Liberia was held by the Governor of Liberia prior to independence. The Governor was appointed by the American Colonization Society (ACS) which sponsored and sent nearly 19,000 freed slaves and American-born blacks to Liberia. The first governor Thomas Buchanan was succeeded by the first black governor Joseph Jenkins Roberts who was elected as the first black president upon independence in 1847. The 1847 Constitution was designed based on American laws and the indigenous people were denied suffrage until the 1980 military coup led by the first indigenous president Samuel Doe. 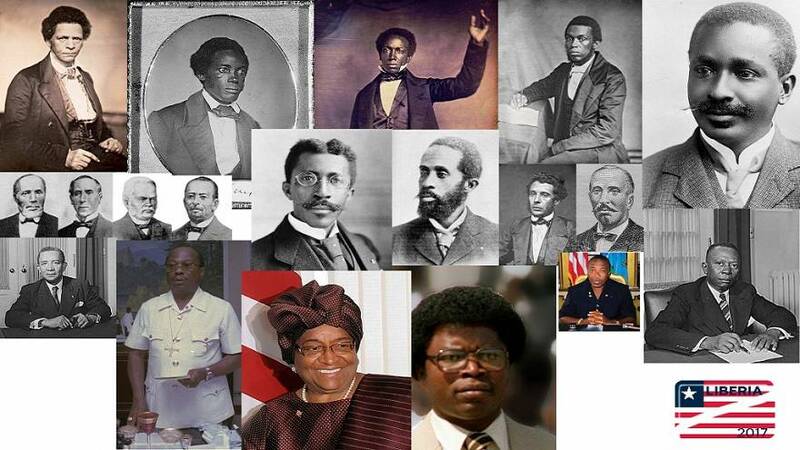 Prior to the coup, only Americo-Liberians were elected president; and out of the 24 presidents Liberia has had, ten were born in America. The 1927 general elections in Liberia made history as the most fraudulent election ever held. With only about 15,000 registered voters, the incumbent Charles D. B. King garnered 243,000 votes against Thomas J. Faulkner who won 9,000 votes. This event made it into the Guinness Book of Records as the most fraudulent election ever. This was the first election in Liberia that allowed women and the indigenous people owning property to vote after it was decided through a referendum in 1946. After the 1980 coup resulting in the overthrow and murder of President William R. Tolbert Jr., the presidency was vacated until the 1985 general election when Doe became the first ethnic Krahn to be president. Four parties took part in the elections which were marred by allegations of fraud and rigging. Samuel Doe won 50.9% of the vote and his Democratic Party of Liberia won majority in both houses of parliament. The post-election period saw massive corruption and human rights abuses that led to the First Liberian Civil War in 1989 which resulted in Doe’s overthrow and murder in 1990. There was no president for seven years until an election was held in 1997 after two postponements that year due to lack of infrastructure lost to the war. The 16-party election, which was part of the 1996 peace agreement to end the civil war, was won by former rebel leader Charles Taylor with 75.3% of the vote. His National Patriotic Party (NPP) won majority of seats in parliament in the election which was supervised by the United Nations Observer Mission in Liberia and the Economic Community of West African States. Taylor beat Ellen Johnson Sirleaf who garnered only 10% of the vote. During his presidency, Taylor was alleged to have involved himself in the Sierra Leone civil war by selling weapons to a rebel group in exchange for blood diamonds. There was a rebellion in 1999 by another rebel group in northern Liberia sparking the Second Liberian Civil War. Taylor lost most of the country in early 2003 and the Special Court of Sierra Leone (SCSL) had indicted him for his involvement in their country’s civil war and crimes against humanity. He was under pressure from the international community to resign which he did on August 11 and went into exile in Nigeria. Elections were held in October 2005 and a run-off in November that year ending the political transition after the second civil war. 22 candidates ran for president. Ellen Johnson Sirleaf won the election run-off against former footballer George Weah who had won the first round by 28.3%. She won 59% of the vote in the second round. The 2011 general election also went into a run-off with the incumbent Sirleaf winning with 90.7% of the vote against Winston Tubman. Ellen Johnson Sirleaf exhausted her two-term limit and announced that she will not contest in the 2017 election which will be held on October 10. 20 candidates are running for president including one woman, George Weah and Sirleaf’s vice president Joseph Boakai among other heavyweights in the Liberian political scene. 986 candidates are vying for the 73 seats in the House of Representatives. 2,183,683 people out of the country’s 4.6 million population have registered to vote. There are 5,390 voting centers across the country in 2080 voting precincts.